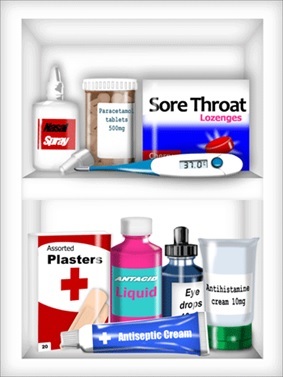 Plasters, non-absorbent cotton wool, elastic bandages and dressings. Keep the medicine chest in a secure, locked place, out of reach of small children. We also can provide further information on self-care – please take the relevant information from our waiting room.